In the middle of the Aussie sports season, I thought it would be great to discuss two programs within some of the most common sports that have been shown through a multitude of studies to decrease the risk of injury and keep you out of the physiotherapy clinic. With ACL injuries alone accounting for 25% of serious netball injuries and up to 20% of soccer injuries, I think the following two programs are 100% necessary within any local club. 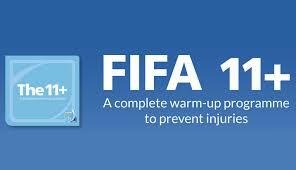 FIFA 11+ was designed for amateur to professional soccer teams to complete either as their training or game warm up or as an extra session away from training. It focuses on increasing lower limb strength, coordination, and control through a series of exercises. Current research has the program reducing ACL injuries by up to 52%, which is outstanding for something that is so easily implemented. The KNEE program is a similar concept aimed at the sport of netball. The KNEE program also offers more variety in exercise and stretch prescription and has been shown to reduce ACL injuries from 40-70%. So if you’re keen to learn more about either program, feel free to have an appointment with our physiotherapists, Luke or Jacob and then you can also find out how to implement these within your club. It's free to join and we send out monthly special offers and tip on how to improve your fitness and wellbeing. You can unsubscribe at any time. ( dd / mm / yyyy ) Optional, so we can send you info that is more relevant to you.